How do I filter macros? 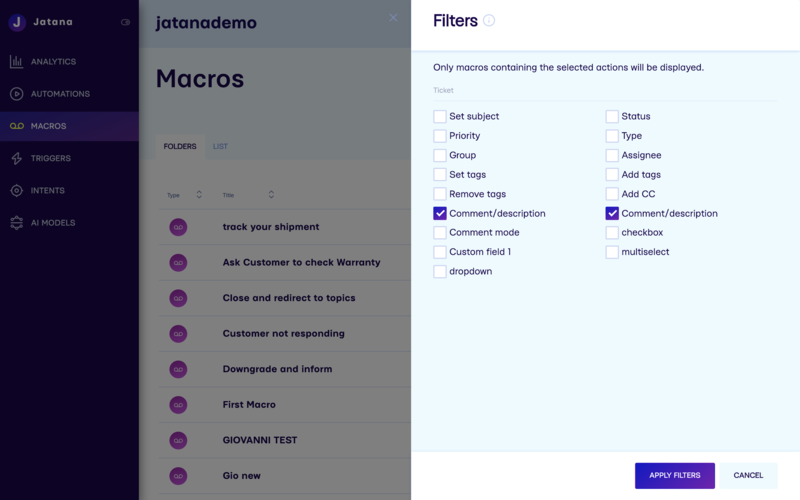 Jatana allows you to filter your macro library based on the actions that your macros perform on tickets. Filtering macros is very simple, simply click on FILTERS, select the actions that you want to use to filter your macros and click APPLY FILTERS.